AmeriCommerce online stores provides a truly secure system to sell downloadable files online. Unlike other systems, AmeriCommerce doesn't just hide or mask the URL of the file. The system streams the file from an offline server. This removes the risk of your file being obtained by a spider or hacker. AmeriCommerce online stores streams the file to the customer, a direct link is never supplied. As an extra security measure, the streaming link is unique for each ordered item. The system checks to make sure that an item was purchased by the customer before the file streams to the customer for downloading. How do I set up an eProduct? This is handled in the eProduct tab of the Product Editor. From there you can determine a range of options covering delivery method to accessibility. The following steps describe the details related to each option. Change eProduct Delivery Type from "Not an eProduct" to one of the two delivery options. Email a Random Verification Link requires the customer to enter a password to begin the download. The second option does not require this password verification. Enter the Delivery Link URL. This is the location the file is coming from on your site. It MUST be located on your site for the transfer to complete. Select a Delivery Link Action. This determines how the customer will download the file once the link is clicked. Send to Page will redirect the customer to the file's address. File Download downloads the file through a download manager, without redirecting the customer. You can allow multiple downloads by enabling the Allow Multiple Deliveries ​option. This is not checked by default. Set the amount of time until the verification link in the customer's email deactivates. 0 is the default and does not set an expiration date. Use whole numbers only. Serial Number File Path: Assign a serial number for this eProduct from a text file. One number per line, removes the serial when its assigned. Make sure to randomize your file path to increase security. .
Save the changes when you finished. Now you can get started supporting software, audio, video, books, and other eProducts through your store! To configure your store for eProducts, go to Settings > Catalog > General and scroll to the eProduct Settings. Next, set the email template for eProduct Delivery, and choose when it sends. If this is set to Ordered, the email will send even if the payment is declined. Add the text / instruction for the clients once they have the serial number. Will need to add the merge code ##SERIALNUMBER## to the Email message. In the theme manager navigate to Pages> Customer My Account Page > HTML Editor and add $$SERIALNUMBER$$. $$SERIALNUMBER$$ is only supported under the "My Downloads" section of the My Account page. 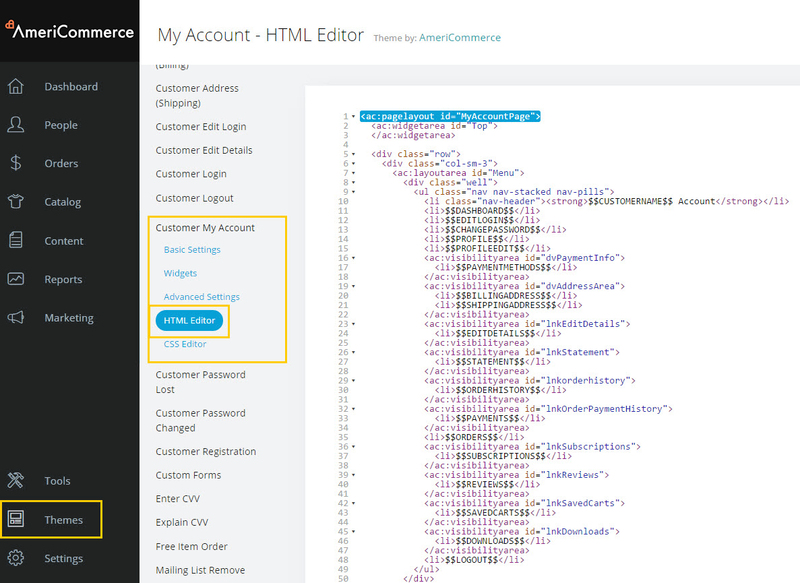 It cannot be done as a single top-level merge code on the My Account Page. It would be helpful to know how to erase multiple gift certificates at a time. I created a batch of 500 and need to erase them. You have the capability to select all gift certificates, however, you do not have the capability to do anything with the selected batch.